If there is one thing that makes the Apple iPhone absolute delight is the humongous amount of apps in the App Store. With about 680,000 apps on the App Store right now, it’s safe to assume that there’s an app for (almost) anything you want to do. We are past half of 2012, and if you had made a New Year resolution to lose those extra kilos, and have failed, then I promise this post will not let you down. Weight loss apps are like personal trainers and dieticians in your hands – they keep a track of your goals and suggest remedies when you are backing down. 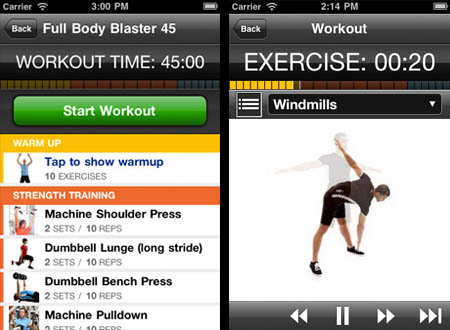 In this round up, we’ll take a look at 5 of the best free iPhone apps to lose weight. Don’t forget to tell us about your favorite ones in the comments below. Lose It! Lets you set goals and establish a daily calorie budget that enables you to meet them. 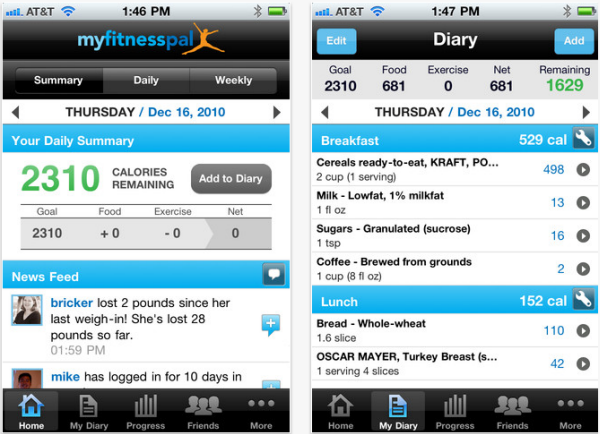 The app also lets you stay on track each day by recording your food and exercise and staying within your budget. The average active Lose It! user has lost more than 12lbs and more than 85% of our active users have lost weight. This app takes world-class personal trainers and places them conveniently in your pocket. You’ll get customized workout programs (fat loss, muscle growth, balanced health) based on your favorite training styles (classic strength, circuits, yoga, plyometrics, etc.) matched to your fitness level, equipment and available time. Our trainers will then guide you efficiently through each workout with their own voice—including sets, reps and rest cues—so you’ll know exactly what to do, save time and get better results. Exercise is not just about the amount of work out done by you, it also depends on the intake of the food. Using the Calorie Counter & Diet Tracker app, you can set a weight that you aim to achieve. It is upto you if you want to lose or gain weight. 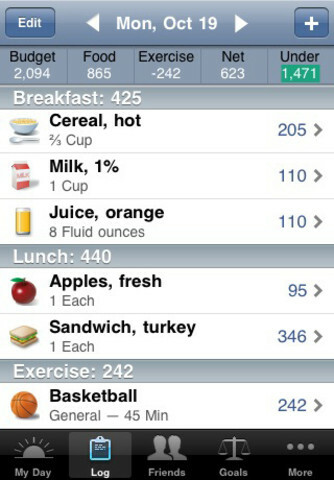 The app helps you monitor your daily food and weight consumption in order to guide you to your weight goal. It also comes with a barcode scanner helping you to detect calories present in the food when you are buying your daily grocery. 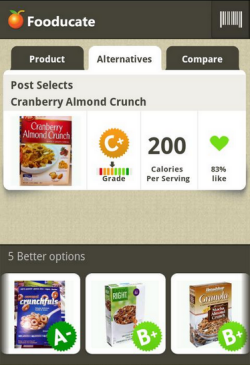 This app lets you scan the barcode of a food item and view it’s nutritional drill-down. Fooducate grades your groceries, explains what’s really inside each product, and offers healthier alternatives. Products are awarded a nutrition grade of A, B, C, or D by an automatic algorithm that was developed by scientists, dietitians, and concerned parents. Minimally processed, real foods with intrinsic nutrients will score better than processed foods that are poor in built-in nutrients. Nexercise is one such app that is unique from the rest that belongs to the same category. It takes the fitness level to a gaming experience. It comes with a Game Center integration. Nexercise allows you to gain points in terms of XP, win rewards, surmount challenges, and even a free interaction with the Nexercise community. 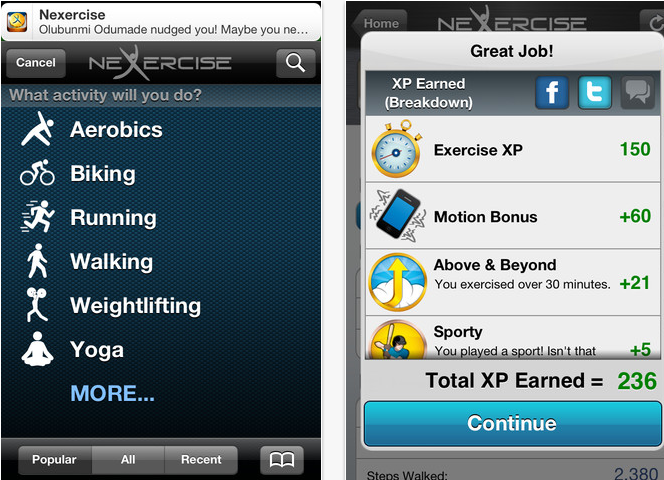 Although Nexercise is just about activities which doesn’t track food intake, it is really fun. Also the fact that it supports over 90 various activities. About the Author: Guest post written by Bob Parcler of transitionled.com, a site that specializes in mr 16 led and par30 led bulbs.